Moving can cost you a small fortune. From hiring a moving company or renting a truck to moving supplies. Everything costs a lot for what it is. Moving supplies are a one-time thing. You will use them once and throw them away. Not because you don’t need them, but because they will be ruined after moving. So getting cheap moving supplies can be really helpful for keeping your move budget-friendly. But what’s the catch? Why are some moving supplies cheaper than the other. Here you can read all about it and hopefully make up your mind about which moving supplies are a better investment. Even if you haven’t moved before, you might know about some essential moving supplies. If you are worried about their prices, you can find affordable moving supplies in Chicago. All you have to do is know where to look for them. Cardboard boxes are something you can get almost anywhere. You can buy them from your moving company. You can also find many kinds of moving boxes in moving-supplies stores. Yes, there are different kinds of boxes. Some are cheap and light, and others are sturdy but cost a lot of money. 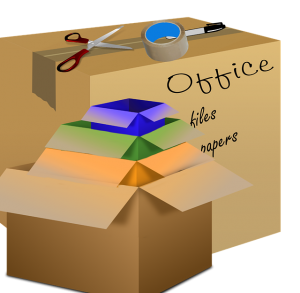 Boxes are an important part of every move as they are used to store breakable things. Things such as plates, glasses, picture frames. Even art pieces and all sorts of knick-knacks. People usually use sturdy cardboard boxes to pack up their electronic devices and cords and cables. Boxes are also used for storing things in basements, attics, and storages. 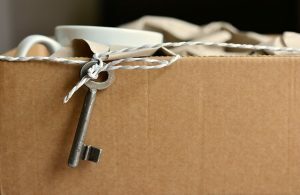 Having short-term storage means you have to keep your belongings inside boxes for an easier relocation. There are different types of moving boxes. You can rent plastic boxes. The reasoning for that is because they are sturdy and aren’t easily breakable. Which means you can reuse them over and over again. But plastic boxes are on the heavy side so if you are moving with them, you will need someone to help you carry them. Plastic bags are great for unbreakable things. Here you can pack towels, bedsheets, pillow, covers, etc. These are also great for children’s toys. They are good because water can’t get into them easily if you secure the bags well. These bags are also very big and can fit a lot of things inside. And plastic bags are in the group of cheap moving supplies. The downside of these bags is that you can easily rip them. But you can use them to carry your moving outfit. If you want something better for clothes, towels, covers, and stuff like that, you can buy vacuum bags. They are a bit more expensive but they are durable and reusable. They are great for storage too. You need tape to secure the boxes and the bags. 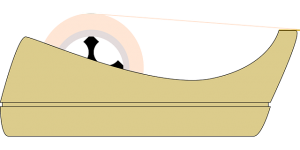 There are many types of tape. Big ones, thick ones. You need strapping tape. This type of tape is lined with nylon fibers that make it impossible to tear or cut without scissors. You can use it to reinforce the bottoms of heavy boxes. Try to provide all your family members with a tape dispenser. You also need clear plastic mailing tape for making labels waterproof and maybe wrapping the plastic bags for extra safety. Our tip is to have a tape dispenser for every member of the house. It will come in handy. Tape dispensers aren’t one of the cheap moving supplies but they can be resold after you finish using them. Use it for securing doors and drawers. Stretch wrap keep the wood away from damage. Choose a labeling method that will work best for you—color coding, numbers, categorized by room, etc. You want to ensure that the label is visible on at least one side. 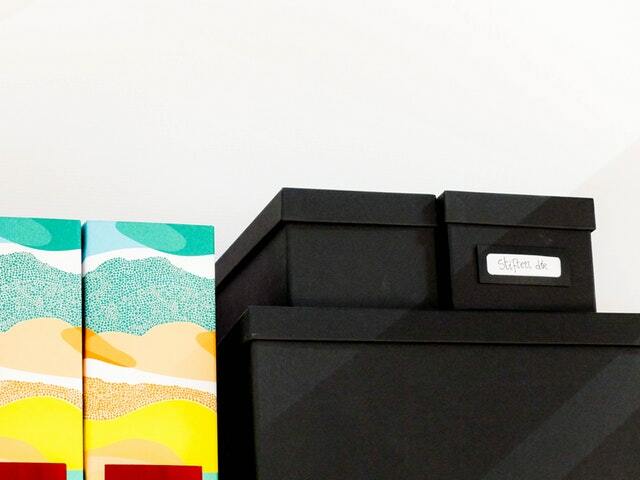 Labeling your boxes visibly is important for both you and your movers. Permanent Markers for labeling boxes. You never know what the weather will be like on your moving day. It’s always a good idea to prepare for rain. White tissue paper or blank newsprint is preferable. Avoid newspaper. Newspaper can leave ink stains on your valuables and you definitely don’t want that to happen. It’s also good to stuff boxes and wrap fragile items before packing them. Wolley Movers Chicago suggest that you don’t have to worry about putting too much wrapping paper. Because it’s never enough. The safety of your belongings is in the first place. Bubble Wrap – for padding the bottom of boxes, and wrapping breakable items. It’s more economical to buy it in large rolls and cut sheets as you need them. For keeping small items together, such as screws and brackets for shelving. Should you use cheap moving supplies? Our thoughts on cheap moving supplies and whether or not you should use them shouldn’t determine your decision. We believe that you should try to save as much money as possible when moving. Just so because you never know what can go wrong. Sometimes the damage done to your belongings costs more than the moving supplies. So it’s up to you find the best movers you can trust and get cheap moving supplies. But if you are moving on your own, by car or you just rented a truck or a minivan, you should save up some money and buy sturdy and high-quality moving supplies. This is just because you don’t have a warranty when you are moving this way, and if you hire movers, you are secured and if anything is damaged, the company will pay for it.